Between 1803 and 1806, Meriwether Lewis and William Clark cocaptained the most famous expedition in American history. But while Lewis ended his life just three years after the expedition, Clark, as the highest-ranking federal official in the West, spent three decades overseeing its consequences: Indian removal and the destruction of Native America. 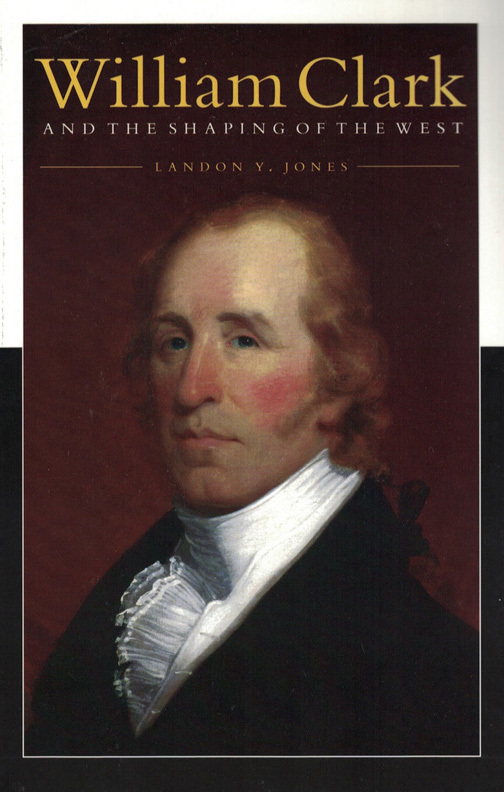 In a rare combination of storytelling and scholarship, bestselling author Landon Y. Jones vividly depicts Clark’s life and the dark and bloody ground of America’s early West, capturing the qualities of character and courage that made Clark an unequaled leader in America’s grander enterprise: the shaping of the West. This entry was posted in Books, Lewis & Clark, William Clark and the Shaping of the West on January 1, 2004 by Lanny Jones.